Glory Days, by Art Bonus, is an action/adventure fiction classic about battle-hardened Navy Seal, Master Chief Jay Johnson and lurking dangers in the Sea of Cortez. 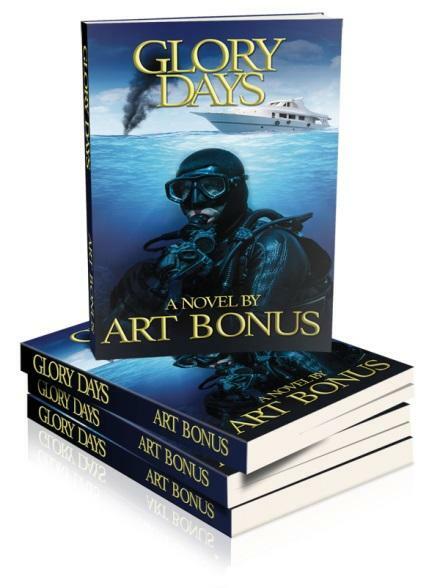 Warren, MI, USA — Art Bonus’s Glory Days is about one highly decorated Navy Seal Master Chief who ‘thinks’ he is in for a relaxing time off sailing the Sea of Cortez. His old ex-commander is dying and bequeaths his classic yacht, ‘Glory Days’ to Jay and soon thereafter the high-seas adventures begin. Johnson soon realizes that his yachting adventures on the high-seas provide him and his crew with more excitement than his military career. Death and destruction seem to follow in the wake of his yacht, ‘Glory Days’. Come along as part of the crew as they are plunged into a sea of chaos and carnage, battling smugglers and terrorists. Yet with just enough time to enjoy the serene waters of the Sea of Cortez for some diving and mini-subbing. Author Art Bonus, a fine-art painter, photographer and poet has turned his creative talents to the literary world with his newest novel, ‘Glory Days’. Artist or Author he has painted a masterpiece with words for your reading enjoyment and hopes to inspire others to tell their stories with whatever creative process that works best for them. Glory Days ISBN 9781506905884, published by First Edition Design Publishing (http://www.firsteditiondesignpublishing.com), is available on-line wherever ebooks are sold. The 178 page print book version, ISBN 9781506905860, is published by First Edition Design Publishing and distributed worldwide to online booksellers. This entry was posted in Advertising & Marketing, Books, EBooks, Entertainment, Press Releases and tagged art bonus, fed publishing, first edition design, glory days, new books, new ebooks. Bookmark the permalink.